The unemployed belong to the privileged categories of citizens. They have the right to receive benefits and payments of unemployment benefits. These state guarantees apply to material and social support of the population. The basis of support for unemployed make payments of unemployment benefits. Benefit amount the minimum and maximum R. 850 - 4900 R. It is set by the state. Basic concepts. Unemployed people — a status that is documented in the employment service. The unemployment benefit is a cash payment given as a guarantee from the state to the person remaining without a job. The employment service is one of the most important state structures, which has the ability to predict the events of the labour market and prevent possible negative consequences. In addition to the basic support of the unemployed population, there are also other additional benefits. They will be documented and are subject to difficult financial situation of the unemployed. Free or subsidized public utility services, including electricity, water, sewer. This kind of benefits for the unemployed does not officially exist, but you can contact the center for subsidies due to the fact that the payment of unemployment significantly below the subsistence level, consequently there is the possibility of obtaining subsidies. The tax exemption or deferral. This benefit is provided only if necessary, in the absence of the unemployed have additional earnings, except for hired labor. Otherwise earnings can be attributed to trade, maintenance of farms, the private carting and other activities. Supplements to unemployment benefits. Issued additionally in the absence of other sources of income such as selling goods from his garden and other types of jobs. Travel privileges in public transport. Available to those who are not entitled to free travel. Financial assistance during the period of temporary disability in the case of deprivation of unemployment benefits. This warranty is provided only if properly executed the sick list. One-time assistance at the death of a close relative of the unemployed. Executed in the presence of a death certificate and proof of relationship (birth certificate, marriage). Close relatives are spouses, parents and brothers and sisters. The documents necessary for granting benefits: employment history, proof of income from previous employment, educational documents and their photocopies, passport and its photocopy, in the presence of minor children - their birth certificate and a photocopy of it, a statement of registration with the employment service as unemployed, and other documents at the request of the employment service. Privileges and guarantees granted by the state and are regulated by legislative acts, codes. In Russia, there are many benefits available to various categories of citizens, whether disabled, war veterans or the military. One of these categories, entitled to benefits, include the retirees. Despite the fact that the minimum pension has reached a living wage, to live on it very hard and almost impossible, because only on payment of utilities leaves about half of the pension, and the tax has not going to cancel. But with regard to utilities, their payments can be reduced by obtaining the subsidy. And how about the constantly rising prices? In this case, you should know about the possible public benefits for seniors. However, when a large and varied number of benefits the law of large special discounts usual pensioner will receive from the state. To take advantage of benefits only in exacting order. And consider the fact that the size required for the population benefits mostly exceed the allocated amount in the budget of the state for their repayment. That is why often there are situations in which people are legally eligible for benefits, years can't get them. 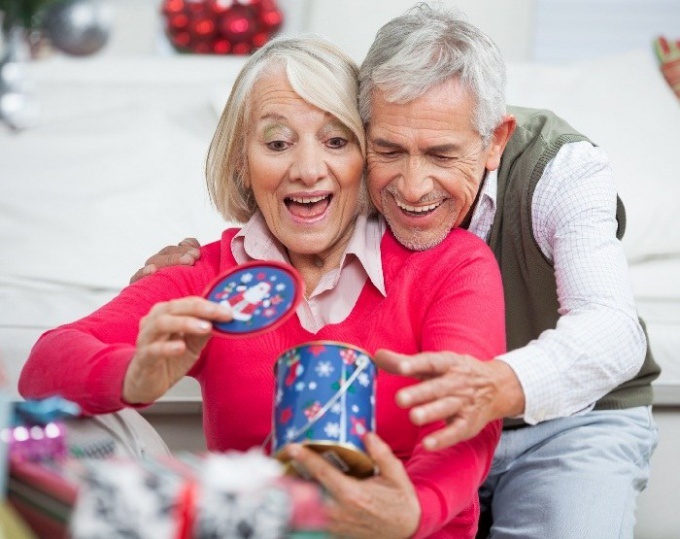 Benefits for seniors on property taxes. In this article of the law stated that pensioners do not pay taxes laid on the premises, constructions, structure. Under this paragraph, a pensioner who owns their own residential or non-residential premises (apartment, cottage, garage, house), do not pay property tax, regardless of the number of the available facilities. To receive this benefit must apply at the location of the premises in the Department of the tax service with the statement for benefit of estate. Exemptions on land tax for pensioners. Land tax is a local tax, since the tax code the number of persons granted the privileges of ordinary people. However, there is a permission code to grant tax exemptions to some segments of the population. Therefore, to obtain the privileges for payment of the tax on the land plot of pensioner should contact the local authorities at the location of the site. Reduce expenses for utilities and housing. Housing subsidy is provided to citizens with accounts for payment of utility services, more than 22% of their total family income. The main condition for subsidies is the absence of debts on housing and communal services. To apply for the subsidies necessary to the Department of social protection at the place of residence. Benefits from local and regional authorities. Such benefits include the benefits of transport tax for public transport. It is also possible surcharges for medicines and food. 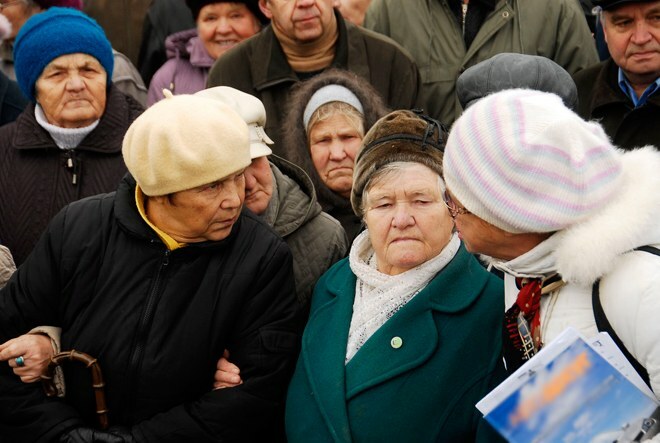 It is no secret that the amount of pension that you receive the majority of elderly Russians is small. So pensioners belong to socially vulnerable categories of citizens, and the periodic indexation of their pensions do not keep pace with inflation. For them, the state has provided a number of benefits. In addition to the benefits of each pensioner by age, additional subsidies can also get those who are poor or disabled, has the title of "Veteran of labour". To be eligible for benefits should contact the social security authorities at the place of registration, and to present documents confirming your right to them. Pensioners who belong to the category of low-income citizens, have the right to privileges on payment of utilities. The condition for obtaining this benefit is the excess of expenses on payment of housing services above the level set for the region. Those pensioners who for home heating use wood-fired oven, you can count on reimbursement of fuel costs. Additional benefits for this type of expenditure are saved for those retirees who have the status of "Veteran of labour". But in many regions this status was abolished due to lack of funds in local budgets. For the old-age pensioners are provided and tax credits. They can pay a lesser amount of transport, land and tax on property of physical persons. Because the rate of vehicle tax in each region set its own, to specify the amount of benefits and payments should be in the territorial tax inspection. As a rule, pensioners are exempt from paying vehicle tax for one car installed capacity. Benefits for the other two taxes set by the local authorities. In some localities entirely exempt pensioners from the obligation to pay them, and some pay only part of the required amount. This procedure has declarative character. To apply for a benefit, should be presented to the inspector of the tax authority a statement, in his pension certificate. The authorities of some municipalities and addition establish other social benefits. Ligatures travel pensioners in urban and suburban transport. To do this, place in the bodies of social protection discount ticket travel or get special coupons. For those pensioners who reside in the Northern regions of Russia every year is paid for one trip to the place of vacation and back. To receive this benefit must present the tickets to the Pension Fund of the Russian Federation at the place of residence. Pensioners residing in remote areas of the country, entitled to partial reimbursement of plane tickets. In some regions, pensioners can count on free service in the dental clinic and have benefits for prosthetics. In any region of single pensioners aged 80 or older or who have health problems can contact the social welfare agencies that came to their home social workers – cleaned and brought food from the store. This service is free of charge.